Officials announced a $10,000 reward would be offered for information in the murder investigation of 25-year-old Robert Lucio, who was shot and killed in Compton on June 28, 2015. COMPTON, Calif. (KABC) -- A $10,000 reward was offered in the investigation of a father who was murdered in front of his family in Compton, the Los Angeles Sheriff's Department announced. Robert Lucio, 25, was shot and killed near the intersection of 154th Street and Nestor Avenue the morning of June 28, 2015. Deputies said Lucio was with his girlfriend and infant daughter when a man driving a dark gray Kia Optima stopped his vehicle near them, exited the car and shot at Lucio and his family. The suspect fired multiple shots and hit Lucio in his upper body, according to the sheriff's department. Officials said the suspect got back into his car and drove off heading north on Nestor Avenue. Lucio was rushed to the hospital and later died. The shooting suspect was described by detectives as a black male in his early 20s, approximately 6-feet-tall, weighing about 250 pounds with short dark hair. He wore dark clothing at the time of the shooting, according to the sheriff's department. 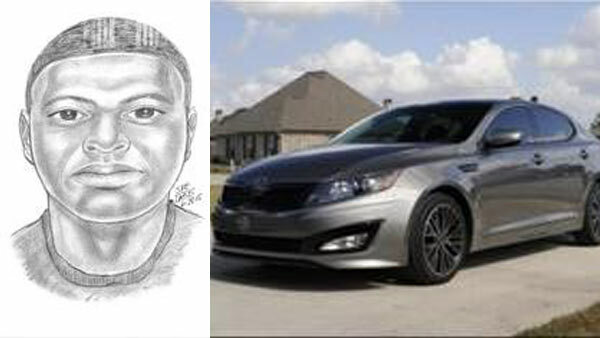 The suspect's vehicle was a dark gray, newer-model Kia Optima, with tinted windows and paper plates with the words "Car Pro" on it. If you have any information that can help detectives in their investigation, you're urged to call Crime Stoppers at (800) 222-8477. Callers can remain anonymous. The Compton City Council is offering a $10,000 reward for information leading to the identification, arrest and conviction of the suspect responsible for Lucio's death.